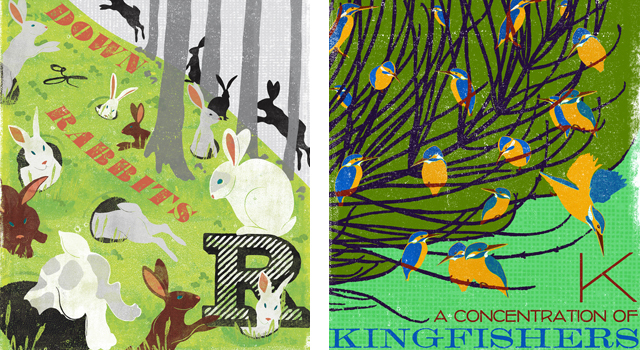 For something fun to offset this endlessly gross weather, check out this series of animal prints by Woop Studios. Each colorful print depicts a group of animals and the appropriate collective noun used to describe them. I’m obsessed with collective nouns—my favorites include “a murder of crows,” “an exaltation of larks,” and “an aurora of polar bears”—so these really appeal to me.